Tool post structure, wider range of selectivity, and optional features provide high speed and high precision operation. This saves unnecessary expenditures. 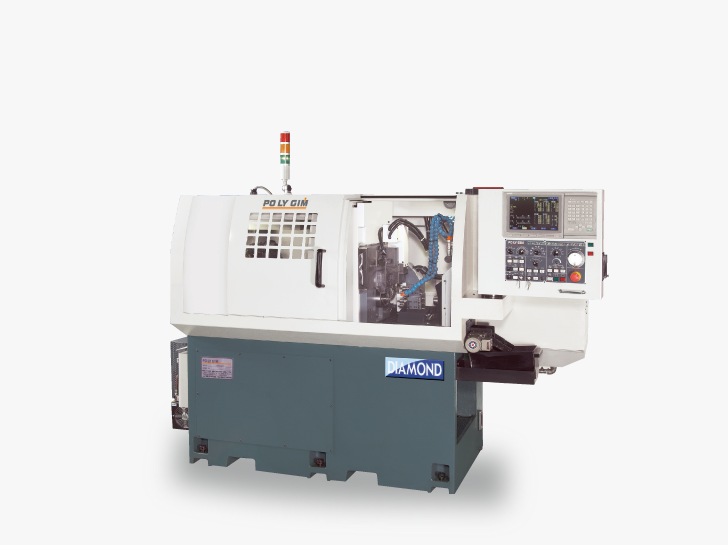 32 CSB offers high performances of front and back simultaneous machining. The simple 32 B also provides an economic solution. Not only does it maintain its functionality, but also it comes with lower cost advantage. The 5° orientation function is standard accessory and the CF axis is optional accessory for the main spindle. The Rough Material Bushing is optional. By using this rough material bushing, the remnant length can reach to 50mm (depending on the length of the last machined). It is used to reduce material waste, saving the consumption of materials. The 0.1mm tolerance of material can also be processed on our Swiss type machine by using "Rough Material Bushing". Spindle Speed 200- 8000 r.p.m. Cross Spindle Speed 200-6000 r.p.m. Back Spindle Speed 6000 r.p.m.